Join Now! Membership saves $$$$$$. Call to find out about pricing. 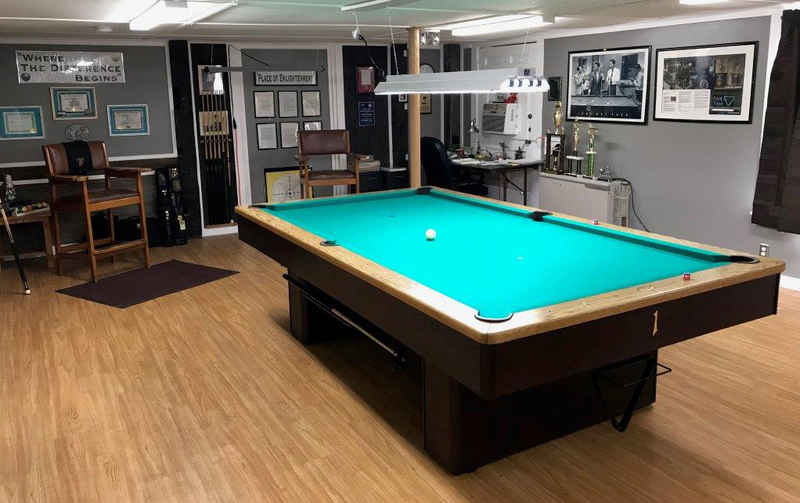 "The Institute of Billiard Science" has moved to 485 North State Street in Concord NH. Phone # (603) 545-2709. Offering lessons to league players and higher level players who are interested in advancing their skill level and knowledge base. After years of playing according to the classical style of pocket billiards, I began testing my own concepts. Mainly out of frustration with the inconsistencies and obscurities in much of the instructional materials on the market at the time. I decided to make mine a dedicated instructional method. The curriculum is guided by students that are experiencing difficulties while playing the game of pocket billiards. I deal with problems and solutions by teaching methods and giving information not found in any books making me a specialist in many fields of pocket billiards. My teaching is about communication. The ability for me as an instructor to take an idea, concept or skill and communicate that new information to a student in a manner that he or she can understand. In light of this, I work with the physics, geometry, science and the mental aspect of this game called pocket billiards. I only teach proven methods and principles (and experiment with unproven ones). Much of my work is completed after many discussions with top psychologists from a local college. I am not going to teach you a "Style". Instead, I have definitions that have been established describing the goal of any given skill. These are then customized by the students to suit their individual needs. This allows a student to learn more quickly since each aspect is guided by that persons own comfort. My main goal is to teach you effective ways to master your game and learn how to play better pocket billiards. A student who is willing to put in the practice time will continue to advance their skill level. Club activities include full access to all former courses put on at the "Pool School" which include the Cobra course, the Circle of Dragons course plus target pool, interesting drills to work out the solution(s). Challenge matches, learning the correct procedures for running out a rack of balls. Includs a full evaluation of what the member did with a particular exercise. There are a variety of specific drills for members use. Members will be recognized by having their name placed on a plaque for winning the competition challenges presented to them. Members ideas are welcome. Many types of experiments presented for discussion. Let's Target your game problem areas and eliminate them NOW! Why sign up for an expensive three day group course when you need personalized help with the issue(s) you have with playing the game? I'll work with you one-on-one to target the area(s) you are having the most difficulty with and fix them much faster. I offer hourly rates or you can sign up for a one or two day session. I can help you with all of the above and some you may not have even considered. Email me at ken@billiardinstructor.org or give me a call at 603-545-2709 or 603-225-8298 and tell me your pool playing problem(s), I know I can fix the problem you are having. My rates are $40 per hour and if you want a one or two day session I can do that as well. Looking for an established Pocket Billiards Technical Consultant? Ken Tewksbury in Concord, New Hampshire is that person. Below is just a brief listing of Ken's qualifications. To read more about Ken, go to http://billiardinstructor.org/aboutus.htm or click here. has been a consultant to many billiards teams regarding the strategy of the game. If you want to improve your billiards game, give Ken a call at 603-545-2709 and find out what it is you have been missing. Your game will improve even after the first lesson. In order to play pool to the best of your ability you need an objective. To win each game you must be prepared for battle. The other player is not going to give you the game; you must be ready to take control of the table. You need to apply what you know and what you learn from this program before you go to the table for combat. Find out why other people do not want you to take this course - it is as deadly as its name. If you are only interested in banging the balls around the table this program is not for you. The C.O.B.R.A. program is one of the best investments you can make for your pool/billiard game. You will reach a higher level of play in a clean, safe environment. You will enjoy these classes as you take complete control of the table. It is a highly effective program for anyone interested in bettering his or her game. The C.O.B.R.A. experience teaches you skills needed to win games. It gives you control over any shot you may encounter at the table and it teaches you how to obtain the best position for the next shot. The training is amazing and you will be astounded at how quickly your game will improve. What to expect? The program has been designed to benefit everyone who completes the course. This is a certificate program based on your completion of all lessons. You will also receive a book with each of the drills you worked with so you can continue your studies later. C.O.B.R.A. has been created with one purpose in mind, you the Student! This is a program that is very effective in helping you, the player; understand just where things can go wrong your game. C.O.B.R.A. is an approach to playing perfect position which becomes cutting edge training like nothing else you have every experienced. It is an empowering program for those who want to win more matches or games. The A, B, C¡¦s of Strategy, When and Why! Clinic is given seven days per week. Anyone can do this and it is easier than you think. Interested in the Nineball Workshop, Click Here. The Black Belt Training class is not for everyone but if you are up to the challenge click here. We offer a complete range of pocket billiard workshops including 8 and 9-ball, which will improve the skill level of any player. The schedule of workshops in each course is prescribed, but the time spent on each workshop varies substantially depending on the needs of each individual student. The emphasis on one-on-one instruction at the institute assures maximum improvement for each student. The available courses are described below. Tuition is available upon request. Each course is completed in two full days. Classes are often scheduled on a Saturday and Sunday to allow students to attend with a minimum of time off from their regular jobs. Weekday classes can be scheduled on request. Each day at the college, The Institute of Billiard Sciences, starts at 10:00 a.m. and ends about 6 p.m. Instructors and students take a lunch break at a nearby restaurant, where they can review the morning session. Free practice periods are provided between workshops so the Institute Instructors can assure that each student has a command of the course material. We keep our class sizes as small as possible to maximize individual attention. We try for one-on-one whenever possible, but in no case do we ever schedule more then two students per table. The Billiard Congress of America certifies our courses. Are you among the many players who would like to play better position but have trouble becoming consistent at it? Having a hard time trying to figure out why it doesn't work all the time? Always seem to be on the wrong side of the next shot? We can teach you how to play position better than you thought you could. You will find our way very easy to understand once we explain the process of how to put it together for you. Many players have found this to be much more than they expected and in fact ask us not to teach this class! The information is clear and to the point and everything flows together very easily. Many players have a simple problem with working out the details for position because they have too much brain clutter going on. They are trying to make something that is easy very complex. In Position Play Boot Camp, we break everything down into simple steps. Each step is explained in clear terms and once you put them together your position play will increase beyond what you thought possible. You will learn to design a position route that is just right for your game. You will learn how to read the table correctly the first time. Position Play Boot Camp will show you when to use English and when not to. You will start playing position like a pro and will master cueball control. We will custom design this program for you and how you play the game. Once you have learned the foundation route you will be able to access some of the most commonly occurring routes in position zones. We will teach you the ingredients of playing position. You will learn how to plan each component of a shot, and how to choose the one that requires the primary emphasis. Once you know how to plan a route, you can apply that route to reaching the position zone. You will know how to visualize the ideal position zone. Mistakes are going to be expected while you are learning position, so you will learn to evaluate your mistakes and how to apply corrective measures. We will teach you how to use multi rail position routes when needed. You will learn to control the rolling distance with a surgeons touch. We will top everything off with putting together a complete routine for planning and playing position. Learn an effective way to control the cue ball for better position play. We teach you the basics of the Diamond System and help you to visualize the imaginary lines from diamond to diamond. We have modified a table by replacing the diamonds or circles on the rails with small lights. The lights are turned on or off as an aid to quickly visualize the diamonds that need to be hit. This is an aiming system based on numbers and angles (simple arithmetic and geometry), target zones and invisible lines. It sounds complicated but after your first lesson and some practice at the table you will be amazed at your ability to control the position of the cue ball. We will also help you to adjust for table conditions, ball speed and accidental side English. Click here to see examples of the diamond system. Unable to make it to the school for lessons or classes - send us a video tape or photos for evaluation. A written analysis report will be provided to you regarding any issues that need to be addressed or any other problems seen in your body mechanics regarding stroke. The written report will provide explanation for why certain things are wrong and how to fix them. Your video or photos will need to show a total of 9 shots which must show the cue profile from the side the cue is being held. Three stop shots into the side pocket; three into side pocket with follow and draw; and three backwards from the side pocket. The cost for the analysis and written report is $30.00. LESSON ONE: Covers elements of stroke and stance, physiology, physics and mechanics, and eye patterns for success. Workshops on speed control, shot selection, ball address, aim and focus are also provided. LESSON TWO: Cue-ball control and position play, centergistics, physics and geometry, controlling angle, speed and spin. Workshops on using tangent lines, English, draw and follow are also provided. In addition, we show you how to win with caroms, billiards and gear shots. LESSON THREE: Game strategy and approach, mental and mechanical, how to win the inner game, ball, cloth and table variations. Workshops on advanced kicks, banks, and focus on shot selection, safety play and run-out patterns. STROKE EVALUATION: For students who are not yet ready to commit to a full course, the Institute of Billiard Sciences offers a two hour Stroke Evaluation workshop. In addition to being a valuable learning experience, it allows a prospective student to receive an introduction to the Institute of Billiard Sciences Instructors and their methods before enrolling in our full course. The Stroke Evaluation gives you valuable assistance with improving your game, it also gives you a chance to see what we do and how we do it. The cost of the Stroke Evaluation is available upon request. When you later enroll in the full Institute course, you will receive the cost of the Stroke Evaluation as a credit toward the tuition. Mental Game??? - The mental game of pocket billiards is, to say the least, unexplainable by most. In fact, most instructors do not even try to explain the mental game. You can get 10,000 people to explain to you how to hold your cue stick or how to make certain shots in the game of pocket billiards, but how many can explain the mental side of playing pocket billiards? At the "Institute of Billiard Sciences", we explain the mental game of pocket billiards in a way that everyone can understand. Who knows what the proper mental process really is? The "Institute of Billiard Sciences" does, that's who! So, if you are trying to figure out the mental game then you had better enroll in the mental course at the "Institute of Billiard Sciences" and find out just what other instructors are not teaching you. 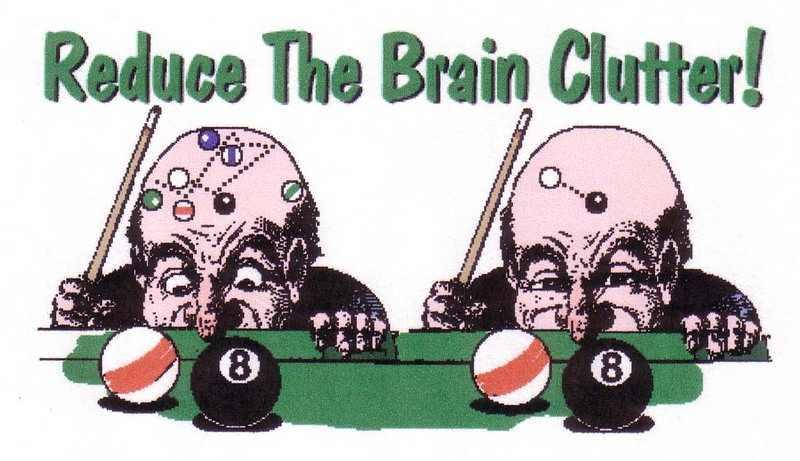 At the Institute of Billiard Sciences, we believe that playing pocket billiards is broken down into three parts; Mental = 80%, Skill = 15%, and Luck = 5%. Well if you agree with these numbers then you really need to take the course on the "Mental Game" at the "Institute of Billiard Sciences", and really improve your game beyond where you are now! Call Ken Tewksbury at (603) 225-8298 or E-mail me at ken@billiardinstructor.org. What are you waiting for??? - Receive instructions from a Certified Instructor. Call now or send an e-mail to set up a date and time for your personal instruction. We have three tables in Concord, New Hampshire that are for instructional purposes only. These tables are not open to the public for general use so you can get personal, uninterrupted instructions in a clean, well equipped, facility. What are you waiting for - make the call. No matter what your level of experience you will learn from one of the best instructors in your area. Few skills outrank concentration for success in playing pool. Concentration is an essential mental skill for optimal performance. Other instructors repeatedly tell their students to concentrate, but seldom explain how to concentrate. Students have not been told that concentration is a learned skill. At the Institute of Billiard Sciences, you will learn how to focus the mind to develop concentration skills and how to employ this skill for greater power in playing pocket billiards. We offer a complete range of pocket billiard workshops, which will improve the skill level of any player. The schedule of workshops in each course is prescribed, but the time spent on each workshop varies substantially depending on the needs of each individual student. The emphasis on one-on-one instruction at the institute assures maximum improvement for each student. 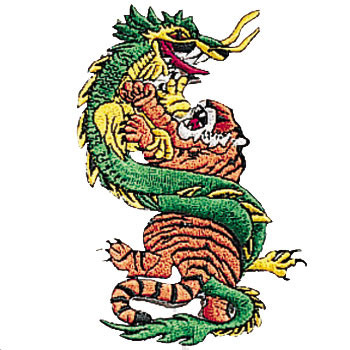 CIRCLE OF DRAGONS - The "Circle of Dragons" training program is structured differently from the majority of other pocket billiards schools, both in curriculum and teaching methods. We offer students "Experiences" rather then simply teaching them techniques. At the "Circle of Dragons", the focus is on you, the individual. The "Circle of Dragons" provides avenues of learning to satisfy any interest and fulfill the goals and demands of any student. For those of you who are interested in learning how to play better pocket billiards. We offer what is no doubt one of the most functional, efficient, and effective methods of pocket billiards ever developed. You are taught in a relaxed yet disciplined training environment using real teaching and training methods to improve your game. We guide our students to find their own capabilities and their own talents. The class size is kept small and is designed to ensure personal attention and instruction to guide the student throughout this program. As a student, you are always going to be discovering new things that will keep your training exciting and stimulating. You will come away from every class a different person because you will have learned something about the game that you did not know. The Instructors at the school have spent many years devoted to training in the art of Pocket Billiards and have attained a level of skill qualifying them to teach and guide others. The standards and expectations of the students and instructors are demanding. This training program requires a level of commitment above what is commonly seen in other programs. 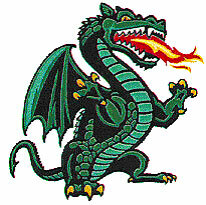 The "Circle of Dragons" is based on the student's ability to perform certain standards at each belt level. Each belt level is designed to increase the student's level of play. Testing is the opportunity for the student to demonstrate their proficiency in each level of belts in order to be able to advance and learn material that is more complicated. The "Circle of Dragons" feels testing provides structure for the students as well as goals in order to help them attain their ideals in Pocket Billiards. Testing in the "Circle of Dragons" is the best. All students must demonstrate the last material before testing for the next level belt. It takes approximately ONE HOUR of testing per belt level. An example: the last belt rank is one hour of testing and then the new belt level is another hour of testing. The Master Instructor gives all testing only and it is a rigorous test under an experienced master instructor. Testing is by invitation from one of the instructors. When the instructor determines you have shown that you are proficient in the material and have demonstrated good protocol and attitude, you are then invited to test. Testing is held one day per month. Passing students will receive their new belt rank and a certificate stating their new rank. It will also be posted at the school for everyone to see. follow, stop, draw, and spin; your speed control for position; your mental game, and how you manage the table will all be ranked. Without all of these parts, your game will break down. Classes at the Institute of Billiard Sciences are conducted in quiet surroundings that are conducive to maximum learning. Students practice and experiment on the finest equipment available. We have three exquisite Connelly four-bolt rail tables for the students to play on. All distractions are removed to allow students to concentrate on improvement. Spectators are not allowed, and maximum privacy is assured. The “Institute of Billiard Sciences” is a full time school. It is not part of a retail store or part of a poolroom. It is never open to the public! The three tables in the classroom are available only to the Institutes Students. Regardless of whether you are just learning to play pool for the first time, or you are a regular player who is struggling with your lack of consistent results. If you fail to make that critical shot in the important game, then it is time to enroll at the Institute of Billiard Sciences. See the difference for yourself! At the Institute of Billiard Sciences, the classes are specially designed to help you bring your game to the next level of play, Regardless of your current ability. The individual attention you will receive at the Academy will provide maximum improvement in your game ---immediately in most cases. The Academies environment is maintained, with custom textbooks provided for each student. The instruction time is divided between formal classroom presentations and discussions, and laboratory experiments and practice. Practice drills are custom tailored to the needs of each student depending on the level of ability. A personal “Path to Improvement” is developed for each student during the course so the improvement can continue for months, and years, after the Academy's instruction is complete. The instructor assures maximum one-on-one assistance for each student. The instructors at “The Institute of Billiards Sciences” possess excellent teaching skills in addition to a high level of understanding of pool and billiard techniques. Their communication skills speed the learning process and maximize each student's understanding of the material presented. A Certificate of Completion from one of the courses at the Academy is recognized as a premier accomplishment for any pool player, it is an elegant expression of your determination to play with assurance and consistency at any level of competition. Students who complete the Academies instructor certification program are confident they possess the tools to establish a rewarding second career as a pocket billiards instructor. This certification diploma is a virtual guarantee of success…. Play better pool in two days! Pool is both an art and a science, finding the proper balance of those two elements is easy when you spend two days at the “Institute of Billiard Sciences” located in Concord, NH.